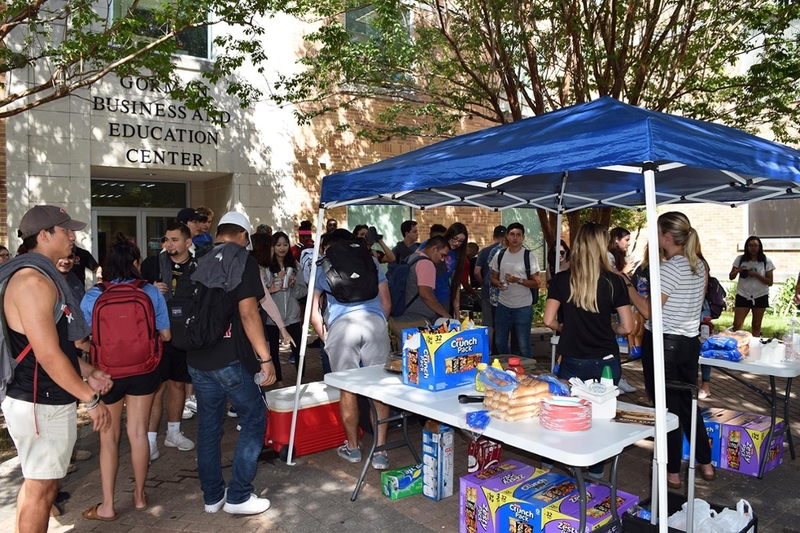 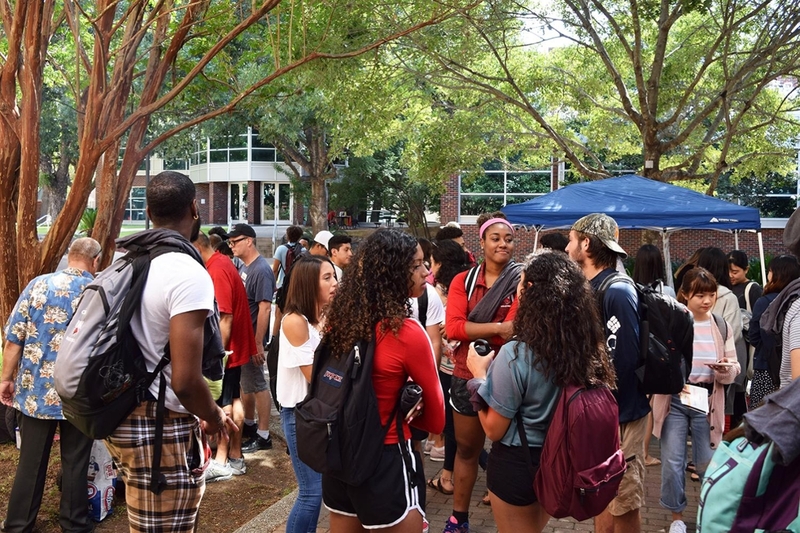 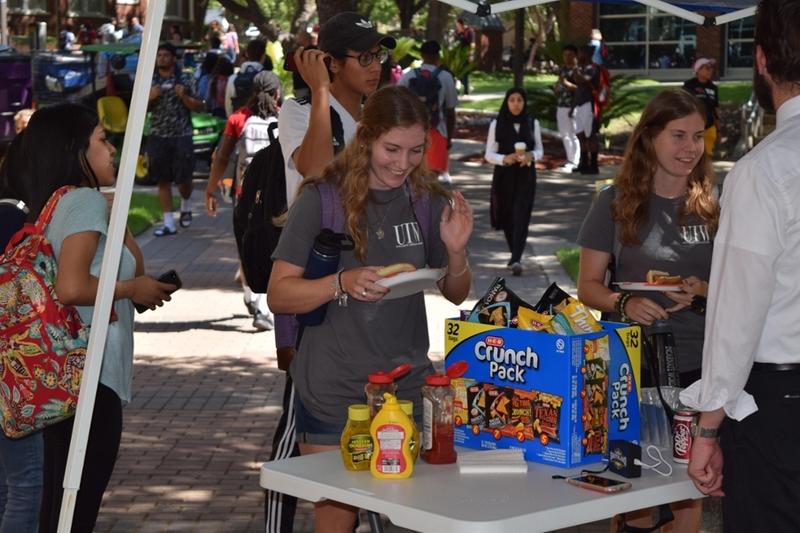 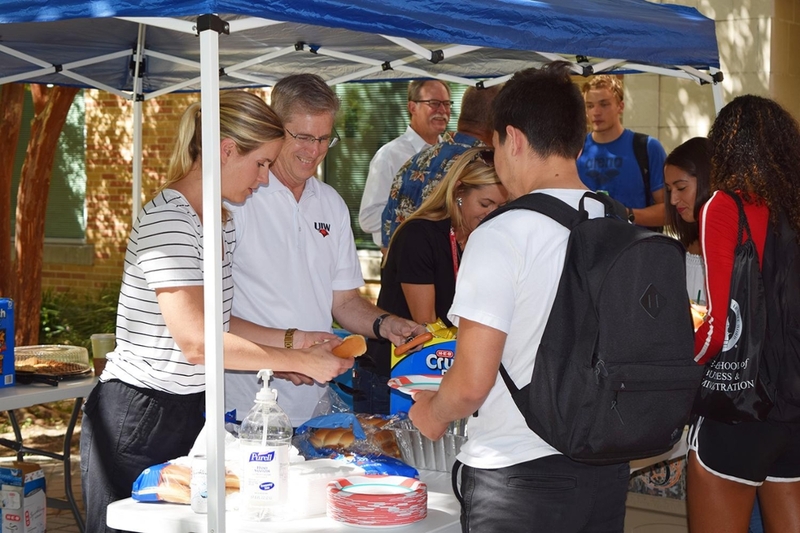 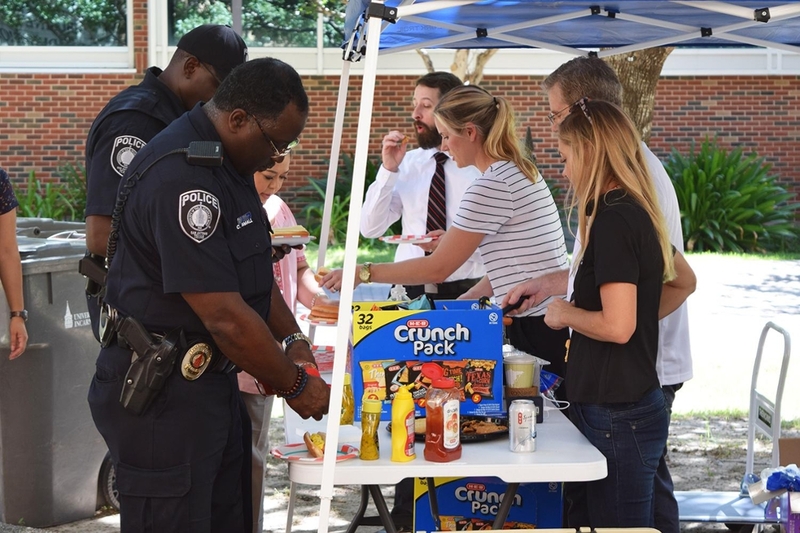 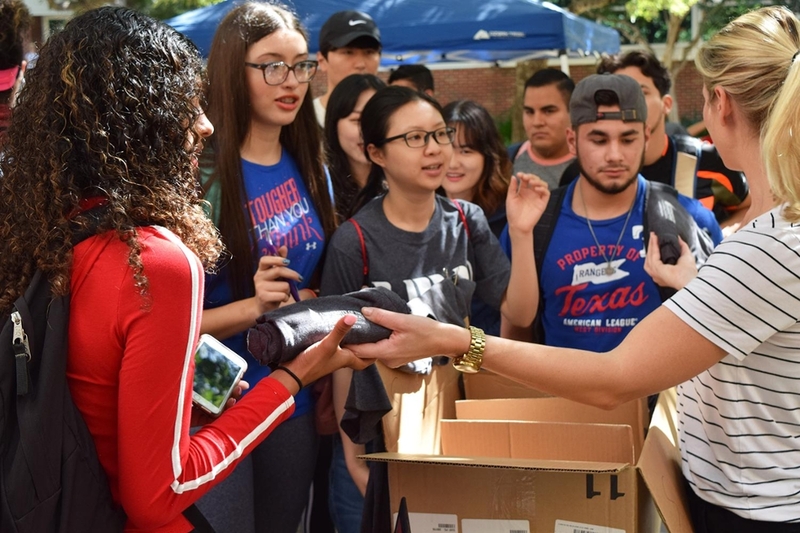 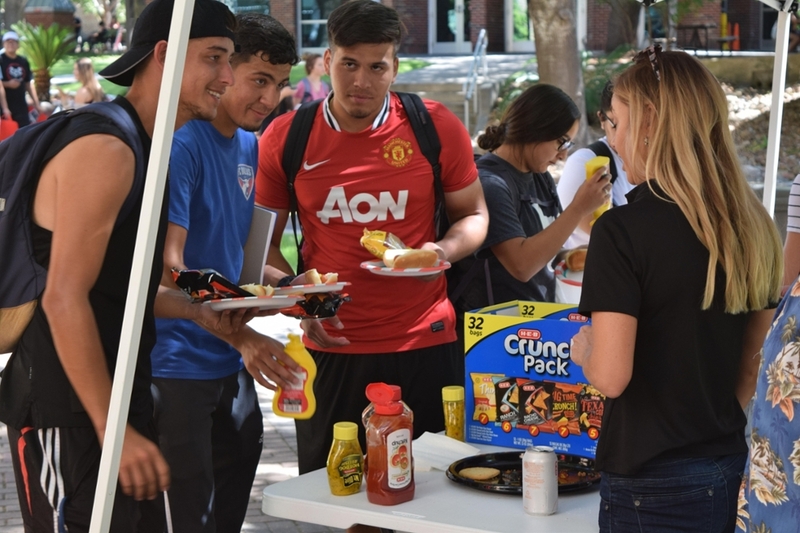 SAN ANTONIO – The H-E-B School of Business & Administration welcomed Cardinals back to campus for the fall 2018 semester with a cookout in front of the Gorman Building. 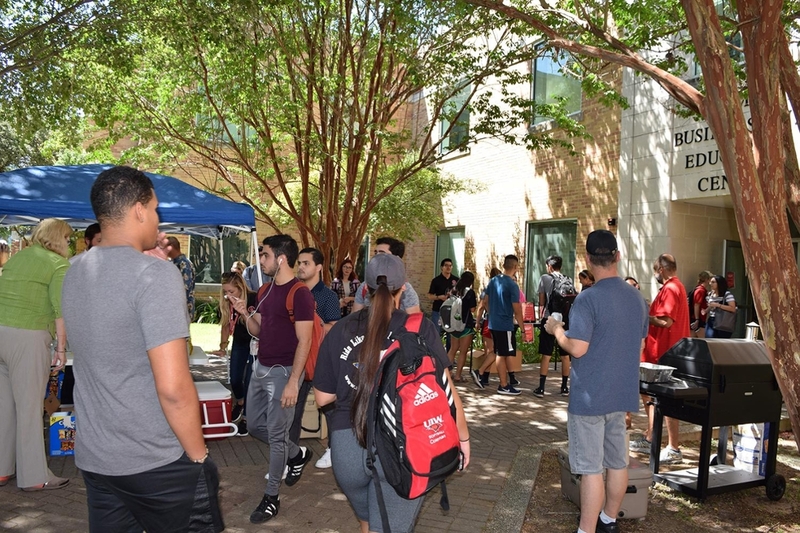 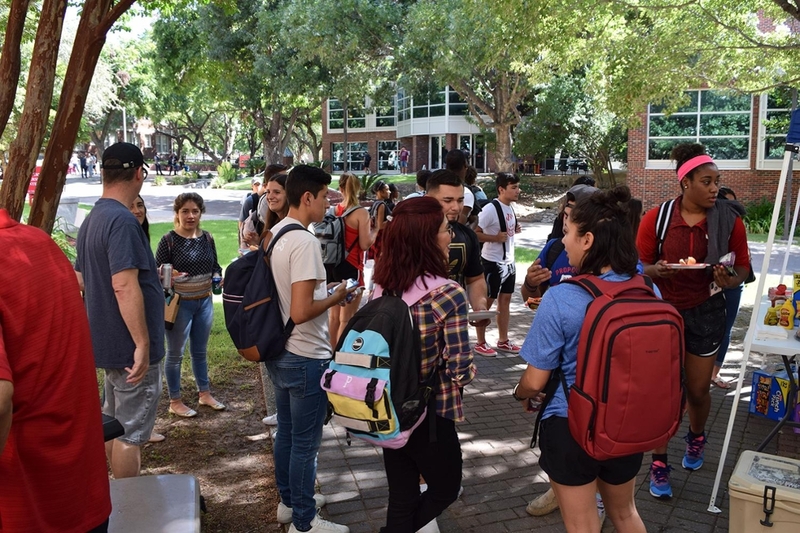 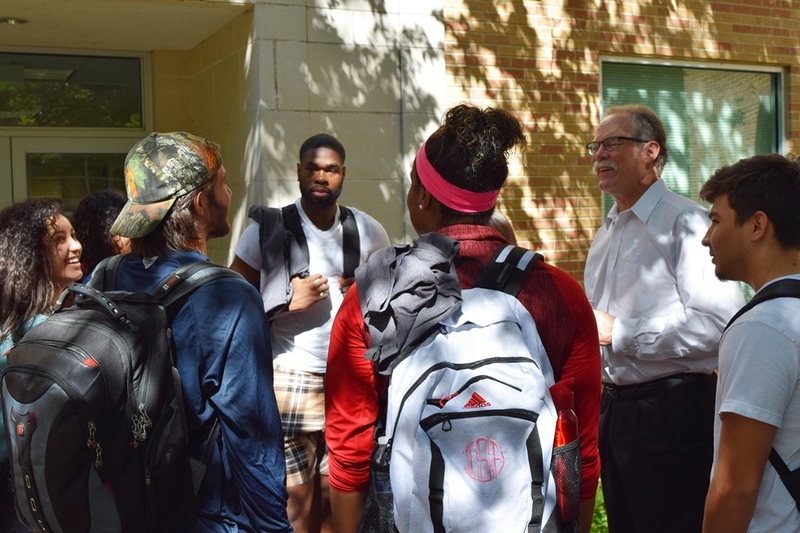 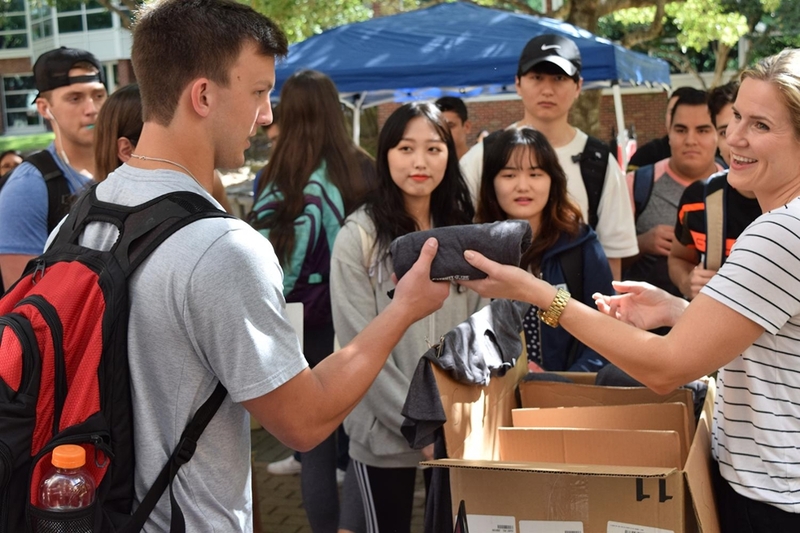 The faculty advisors to the Accounting Society, Dr. Trish Driskill, and the Business Club, Kelly Pittman, organized the event as part of UIW’s slate of Welcome Week events. 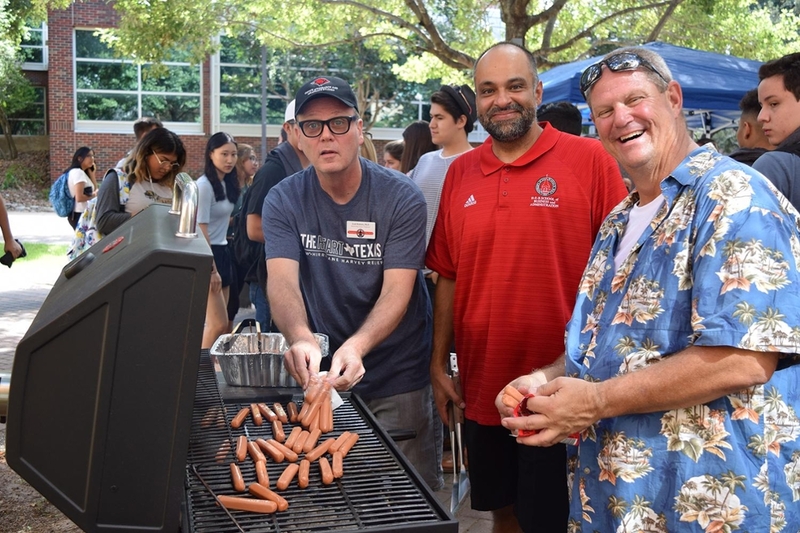 Dr. Scott Roberts, Dr. Al Rubio and Earl Harmsen manned the grill during the cookout. 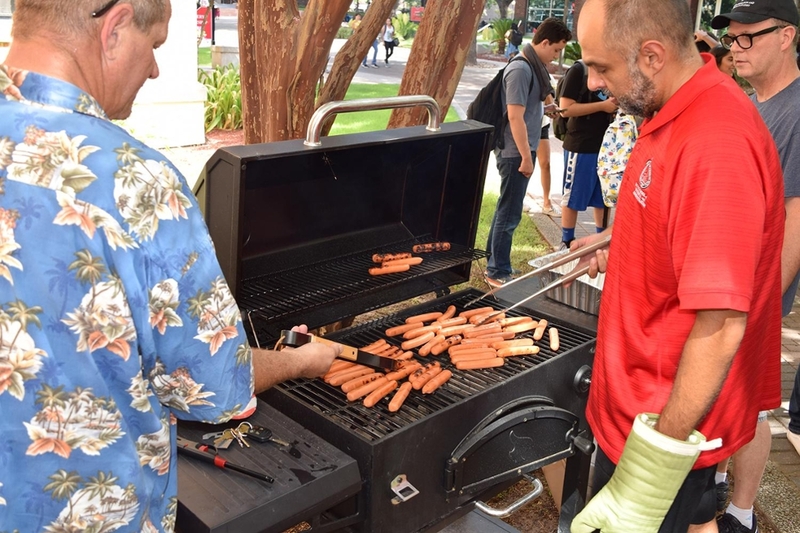 A special “thank you” is due to Dr. Michael Forrest and Dr. Joshua Bazzy, who served the hungry Cardinals, as well as Dr. Alicia Rubio and Dr. Joe Labatt, who helped clean up afterward. 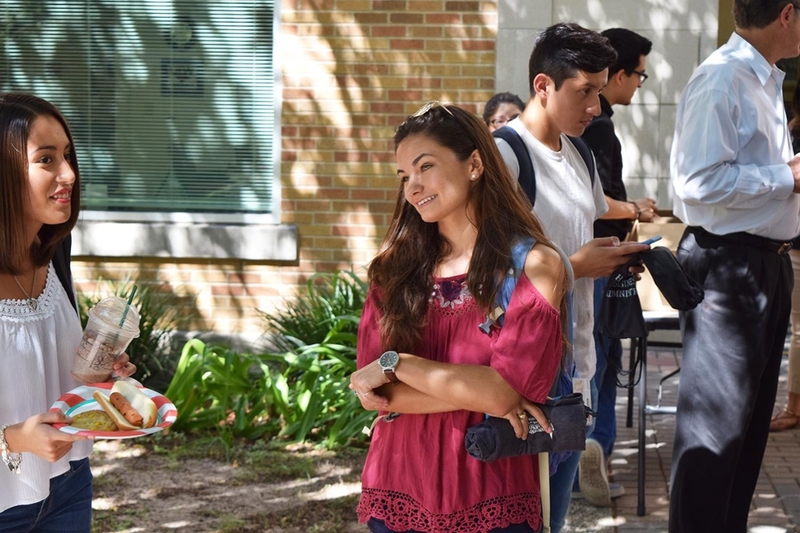 Administrative Assistant Ivan Ortega helped to plan and facilitate the event.